If I bought my paintballs from Paintball Nation from Monday to Friday, can I still use them on the weekends? What sort of food and drinks are available? Will I play against “pro” players? What if I don’t want my kids playing with advanced players or adults on the weekend? What happens if a player doesn’t show up that I have paid for as part of a group package? What happens if we don’t show up for an event that we have reserved or cancel? What is the minimum age required to play? Our Mississauga location is now using LOW IMPACT MICRO PAINTBALLS that reduce the impact when hit. Regular paintballs depending on where you get hit and how close you are standing to your opponent, may sting a little or you might not feel it at all. We have a 10ft. rule that doesn’t allow players to shoot at each other within 10 ft.
We recommend track pants, sweat shirts old hoodies and jeans. Paintballs are not made of real paint so they wash out of clothing. We do have coveralls available for rent and always wear closed toe shoes. Anyone over the age of 8 and healthy enough to participate can play. Our players come from all walks of life. Teenagers, police officers, Pastors, moms, you name it. To book an event, you will need to prepay your admission fees and equipment rentals to reserve your time slot. It is a non-refundable, non-transferable payment, but you can reschedule by calling us with 14 days notice. Players over 18 years of age can sign their own waivers. Players under 18 must have their own parents sign their waiver. Without parental consent players under 18 will not be permitted to play and there will be no refund for their fees. 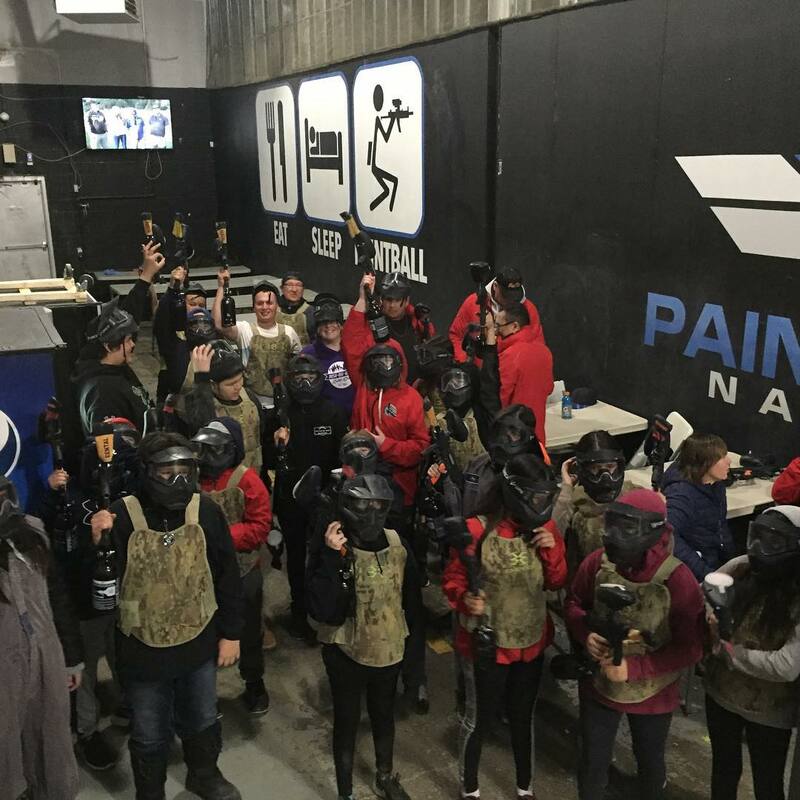 Bring Your Own Paintballs (BYOP) is a promotion from Mondays through Fridays. 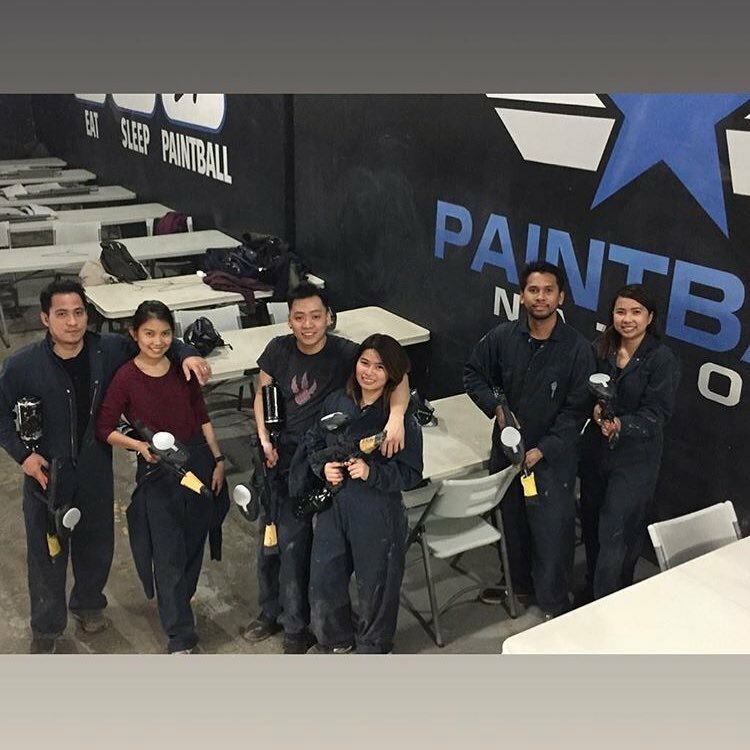 You can bring your own paintballs then as long as the paintballs are white or yellow fill. No, you must buy field paint on weekends. Yes, but it must fire at 235 ft/sec. We have a chronograph to test your gun, but you must know how to adjust your own gun with your own tools. There is no way of knowing how many paintballs you need. Some players like to play like snipers shooting very little, while other players prefer being action heroes firing a countless number of balls at anything they can. We have vending machines with a variety of snacks available for purchase. We also have drinks for sale on location. Please note, that due to the risk of some players bringing alcohol into our facility NO OUTSIDE BEVERAGES ARE PERMITTED for any reason or event. You and your friends will receive a safety briefing and a lesson on how to use the equipment we give you. This generally takes a few minutes. After that our staff will organise each game and supervise each game that you play. Each game will last about 5-10 minutes with a short break between games. If you walk in on a weekday, you will likely play with “pro” players. However we supervise each game and we will organise separate games for “walk in” players if we feel that it makes sense. During holidays or other busy times, all “renters” will play separately from “pro” players. On weekends we will separate adult players and “pro” players from younger players when we feel it necessary to do so. 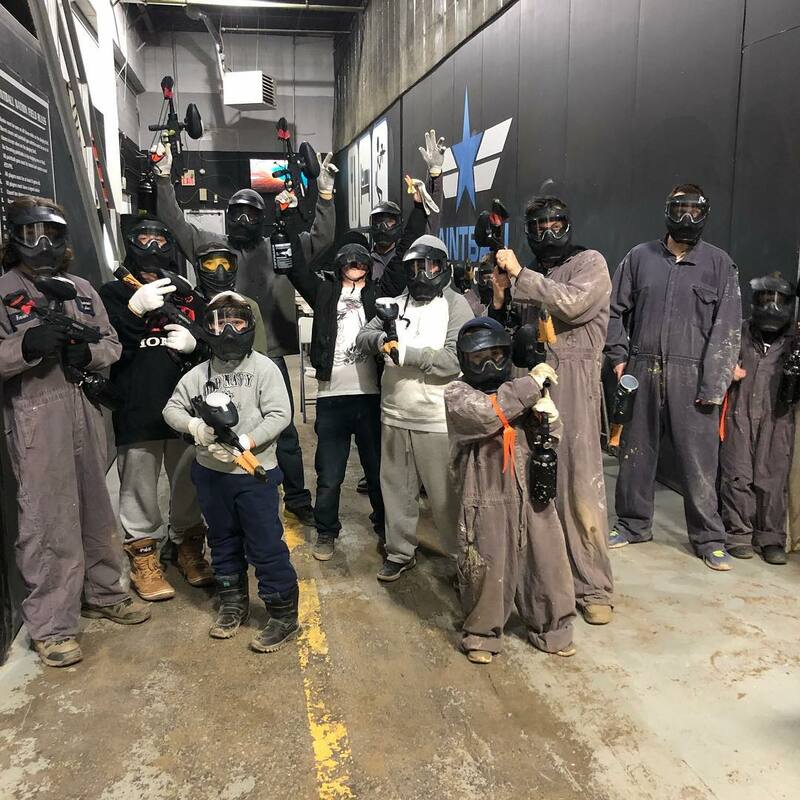 If you have a reservation for a group and some players don’t show up, we will give you the paintballs that player would have received but there will be no refund or discount for their fees. Unfortunately once an event is reserved we turn away all other requests for the time and equipment you reserved. If you don’t show up for your event or decide to cancel the fees you paid are non refundable regardless of the reason. All players must be at least 8 years old on game day in order to play at the indoor location.